A leading global retailer was struggling to secure its rapidly expanding network and protect an increasing number of employee and contingent worker credentials. 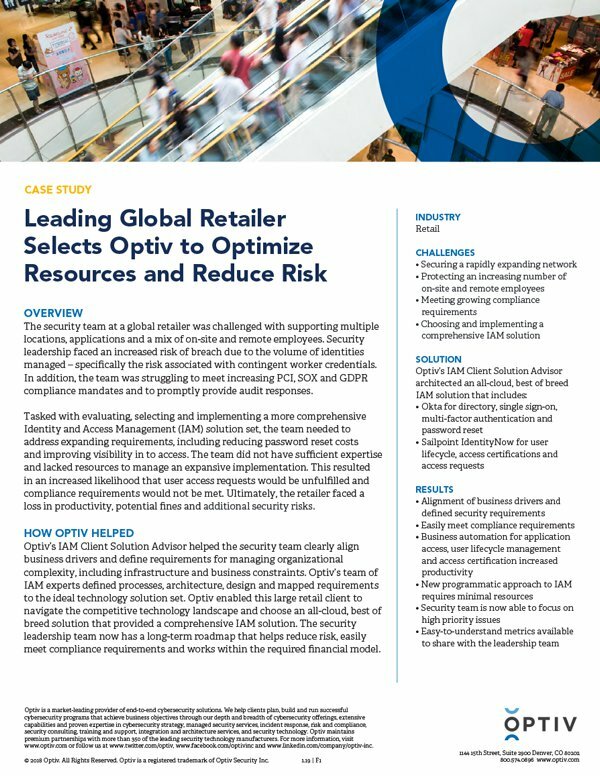 To solve these challenges Optiv engaged, architected and implemented a comprehensive Identity and Access Management (IAM) solution. This global lifestyle brand now has alignment of business drivers, defined security requirements, easily meets compliance requirements and shares metrics with its leadership team.